January 18, 2012 -At 01:31 Stations 1 & 4 were dispatched along with Fire Districts, 56, 42 and 47 to 900 W. Market Street, Orwigsburg for an automatic fire alarm. Chief 56-02 advised all incoming units of a smoke condition on the third floor and requested an additional engine from Station 2. Crews used TICs (Thermal Imagery Cameras) to locate a problem with a ventilation motor. Power to the motor was cut and all units were placed available by Orwigsburg command. January 15, 2012 -At 00:02 the SHFD was dispatched to 312 University Drive(Penn State Schuylkill Apartments) for smoke inside a structure. Chief 723 (Donatti) arrived on scene and found the source of the smoke to be burnt food. All units were then placed available. January 8, 2012 – At 10:58 Stations 2 & 4 were dispatched to 9A Earl Stoyer Drive to setup a landing zone for incoming Medevac 7. As all units began to respond SCCC was advised that the parking lot of the Grace Evangelical Church was occupied and the landing zone was redirected to Fritz Reed Ave. (The Island). Crews assisted EMS and the Flight Crew with patient packaging and transport to the helicopter. All units were cleared by Chief 730 shortly after take off. January 7, 2012 – At 11:52 the SHFD was dispatched to 84 N. Berne Street, in the borough for reports of smoke in a house. Crews arrived on scene to find a vacant house with a large amount of smoke coming from the chimney. Fire personnel gained access to the structure and found the boiler to be malfunctioning due to a blocked chimney. Crews unblocked the chimney and contacted the realtor. All units were on scene for approximately 30 minutes. Chief 730 (Reed) had command. January 6, 2012 – At 13:34 the SHFD was dispatched to 1540 Route 61, North Manheim Twp. (the Cressona Mall Intersection) for vehicle accident with minor injuries. Chief 722 (Sattizahn) arrived on scene and found a two car rear-end collision with 3 patients complaining of neck pain. Fire personnel assisted EMS with removing the patients from the vehicle and cleaned the debris from the roadway. All SHFD units were on scene for approximately 30 minutes until being released by Chief 722. January 5, 2011 – At 04:19 Stations 2 & 4 were dispatched to 9A Earl Stoyer Drive, to setup a landing zone for incoming Medevac 7. Crews used flares to designate a secure landing area and assisted EMS and the flight crew with patient transport to “the bird”. All units were then cleared by Chief 722 shortly after Medevac 7 hit the air. January 4, 2012 -At 02:10 the SHFD was dispatched to 270 Route 61 South, North Maheim Twp. (Sheetz Gas Station) for a structure fire. Chief 722 arrived on scene and found a smoke condition in the store area of the gas station caused by a faulty electrical outlet. Fire personnel checked for extension and found none. All units were then placed available by Chief 722 (Sattizahn). December 3, 2012 -At 19:29 Stations 1 & 4 were dispatched to 135 Orchard Street, Auburn Borough for smoke in a house. Chief 39-01 arrived on scene and found a malfunctioning refrigerator caused a smoke condition inside the residence. 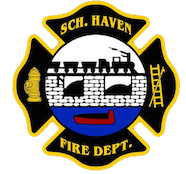 Chief 39-01 advised SCCC to cancel all Haven units. Chief 722 had command. January 3, 2012 – At 14:48 Chief 722 Requested Station 2 for E-732 for manpower to 300 E. Liberty Street. More info coming soon!